Passport Office, Hyderabad was opened in the year 1976 after bifurcating from Passport Office, Madras to serve the people of Andhra Pradesh. 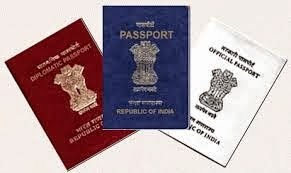 The Passport Office was started as a small organization and after 23 years of public service the workload has increased more than 10 fold with corresponding increase in staff strength. Today, it has grown into the second biggest office next to Mumbai office. In Secunderabad, which is very close to the railway station, bus stop and airport. As the input is increasing considerably and also there was a great pressure from the people of coastal region, Ministry of External Affairs had felt a need to have one more office in Andhra Pradesh. Passport Office, Vishakhapatnam was opened on 17 January 1997 covering 5 coastal districts i.e. Srikakulam, Vizianagaram, Vishakhapatnam, East Godavari and West Godavari districts.